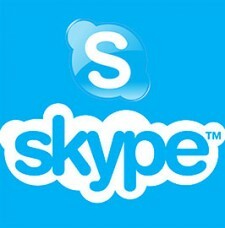 On this article, we will look at how to monitor Skype on mobile devices. This popular software has become a predominant favorite for third-party chat and call service both for home and business use. So, is it possible to spy, monitor, or track Skype activities? Yes, if you pick the right service provider. Not too long ago, there was no service offering Skype monitoring, but finally now some of the top monitoring software providers have been able to fully log all Skype Chats and although still not possible to record calls, full call logs including name, number, date and timestamp all included. There are a few requirements and limitations, so ensure to double-check everything you need before getting started. Skype first started as computer software providing the ability to make and receive calls over the internet, free of charge, with the ability to use webcams, and a built in chat system. Ultimately, it is a Voice-Over IP program that has quickly gained popularity in the mobile cell phone field. Obviously, as smart phones and tablets hit the market, Skype quickly expanded by offering their own mobile App version, and being that you could make free calls, video chat and share files for free with other Skype users, it is used by many today. The service also offers long distance plans for calling external phone numbers, and free local calling. Why spy on Skype calls and chats? A few advantages can be gained by monitoring and logging Skype usage. If you’re a parent, you may be concerned whom your children or teenagers are communicating with, if chatm shared pics and videos are being kept appropriate and so on. Business cell phones can often provide you call logs, but users on Skype need additional software to be monitored. This can ensure your employees are not communicating with non-authorized parties, or spending work hours on personal conversations. How does spy tracking software work for Skype? 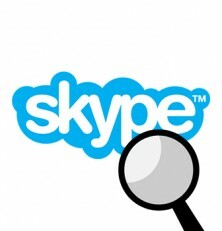 Simply put, you need to signup for a monitoring software service that supports Skype tracking as a first step, and the service will provide you full logs of text chat, along with call information including incoming and outgoing numbers with timestamp information, and access to all sent pictures and videos through Skype. You will be able to access the logs and media files online through your web panel, at any time you want. Not all services support all devices, so depending on your phone or tablet, make sure it’s compatible by checking our suggestions below. Save and log all Skype chats for you to access anytime and anywhere. Saves all pictures and videos sent or received through Skype. Ability to view all contacts and group chats joined. View full names and numbers of recently contacted users. 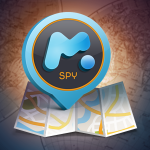 One of the top tracking service is undoubtedly mSpy. With years of experience under their belts, not only do they hold one of the most advanced and functional apps, but the customer service is exceptional. They also offer Skype logs of full chats, access to media files, and detailed call history though they currently only offers this function for Apple iPhones and iPads. If you happen to use an Android, your best choice would be to find another service but if your target device is an Apple, than mSpy would make a great choice. 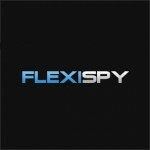 The next established tracking software provider that offers proper Skype monitoring is FlexiSpy. With compatibility across Android and Apple iOS, the service offers the same chat logs, call history with time and details, and even goes all the way to displaying emoticons and stickers, which no other spy app offers at this time. The only problem with FlexiSpy, is that it costs almost as twice as much as other leading services. For that reason, as a reviewer blog, I cannot honestly suggest their service over others. Worth checking out if you don’t care about cost. Like most other third party chat and VOIP calling apps used on smart phones, it is very difficult to monitor their activity, and only a handful of the best spy apps are currently offering Skype tracking, along with other similar apps like WhatsApp, Viber, and social networks. The feature is currently only compatible with Android phones and tablets, or Apple iPhones and iPads. While FlexiSpy offers Skype compatibility with both Android and Apple, mSpy only supports Apple. Android: Although you don’t need to have a rooted device to install spy apps, with Android, in order to monitor Skype, or other similar third party apps such as Facebook, WhatsApp, Twitter, Viber and so on, it is a pre-requisite to root your android cell phone or tablet. You can learn all about it here and even get some extra information on rooting it yourself. iPhone/iPad/iPod: As always, iPhones and iPads need to be jailbroken in order to first install the spy app. Once the jailbreak is done, you do not have any more requirements in order to have visibility over Skype, given that you picked a service that supports the feature for Apple. Learn more about jailbreak and how to get it jailbroken if needed. Without these developers and companies constantly pushing the envelope and working hard and updating and bettering their monitoring services, it would still not be possible to see anything communicated through third party installed communication and social apps. Now, you can finally see every communication made on Skype. This is both beneficial for parents and young to teenage children for safety and parental controls, and business owners needing to protect their assets, and improve on employee visibility and production. In conclusion, there’s only a couple of services out there worth selecting for this specific purpose, but keep in mind that they also offer a whole lot more than just spying on Skype. The powers offered by this service was once out of reach to the public, but you can now have full control of your mobile devices remotely, while having a full time watchful eye alerting you of various activities, if requires. If you still have any questions after consulting this article, please drop a comment below or send us an email, and I will do my best to answer your questions.